We finally got to meet up yesterday for the 1st time in around 7-8 weeks. We just kinda bashed around the new songs to see what we could remember. Surprisingly OK. We totally changed the chorus of one song and showed each other a few new ideas. One song that is almost there is one provisionally called Out of Site, or Out of Sight. Whatever. It’s a new tune. I recorded it on my phone as a reference and thought I’d upload part of it. We’ll now be recording lots of these so we can go away and work on them separately. I already have 4 on my phone but they can wait. 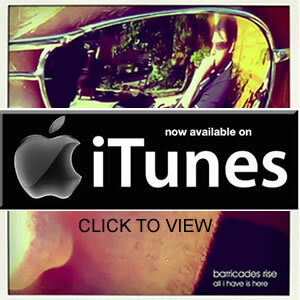 Head towards www.soundcloud.com/barricades-rise to hear the snippet. But remember, it’s purely a reference so a crappy recording. It’s only 15 seconds but it’s new. I think it’s probably the 1st new material in around 3 years.